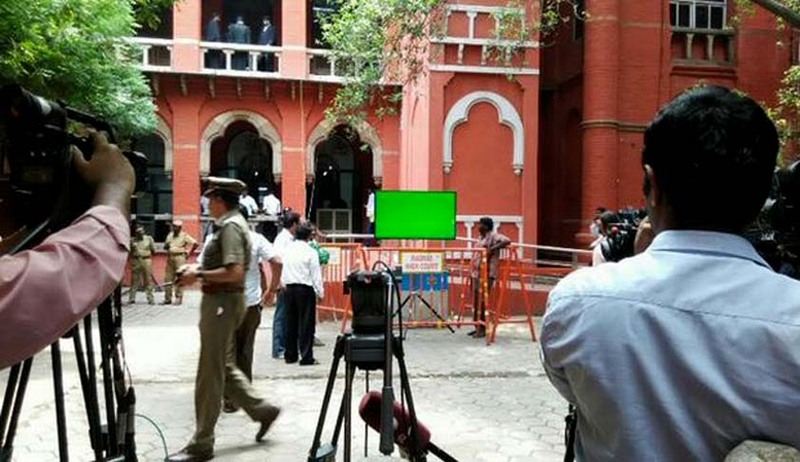 The Tamil Nadu government today filed a petition in the Supreme Court challenging High Court's orders to deploy Central Industrial Security Force (CISF) for manning the High Court premises in both Chennai and Madurai. As per a report in The Hindu online, In a strongly-worded petition, the State government accused the Union Ministry of Home Affairs (MHA) changing its stance in the issue without notice. It said that the Centre had at first agreed that there was no need for deployment of CISF at the High Court premises, but then changed its position to demand Rs. 16.6 crore from the State government for sending in CISF personnel. The State government said the High Court has erred in directing the State Police to work with the CISF to secure the High Court premises. It said such an arrangement would lead to the possibility of “severe confusion” in crunch situations. According to the The Hindu report, the state government pointed out that the “High Court being a public premises where it is required to deal with public at large, the police personnel who are well versed with the local customs and language will be able to render more efficient services which the CISF will not be able to provide”. Citing the incident of lawyers' agitation of September 14, 2015, the State argued that the agitating lawyers were themselves part of the judicial system, and thus could not be prevented from entering the High Court premises. State said that the hands of the police were tied because of a 2009 High Court order restricting police interference on court premises. The State, according to the report, said the September 14 agitation would have been “nipped in bud” if the Registrar General, Madras High Court, had given them a timely green signal. To repeated queries from the police brass the “Registrar General replied that the lawyers who were in the robes need not be prevented in entering the Court hall and that if the agitating lawyers raised slogans inside the court hall they may be removed after obtaining instructions from the Honourable Chief Justice”.